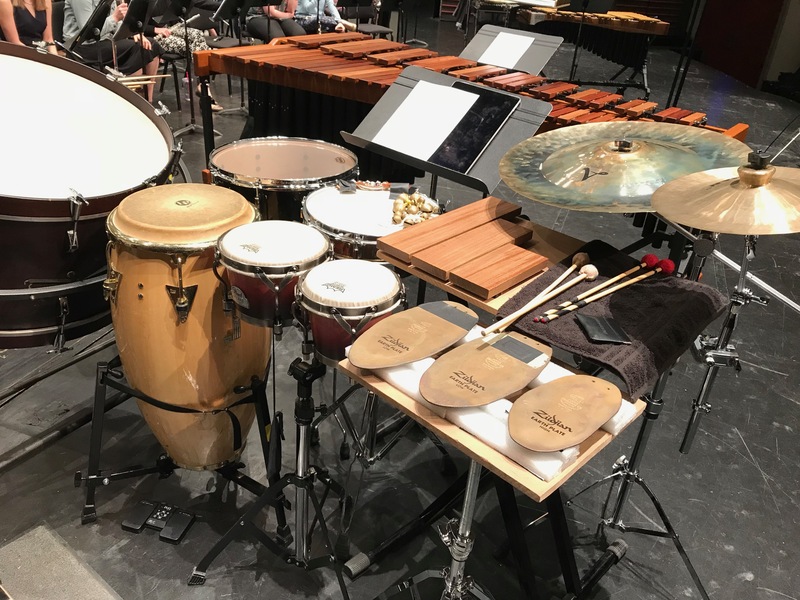 This recording (live premiere performance) features Michael Compitello on marimba and multi-percussion! As a composer, educator, and fervent advocate for music education, Aaron Perrine’s music aims to “inspire the next generation of music lovers.” In addition to works for soloists, chamber, and jazz ensembles, Perrine’s largest compositional output embraces and patronizes the wind band medium. A recipient of several awards including two Ostwald Awards for Pale Blue on Deep (2013) and Only Light (2015) and the College Band Director’s National Association Young Band Composition Contest Prize for Temperance (2017), Perrine’s music is widely performed, commissioned, recorded, and lauded. The title of the work, Beneath a Canvas of Green, is in reference to the many walks I used to take during the summers while growing up in northern Minnesota. I love the way the sunlight shines through the leaves—especially when there is a bit of wind to make the light dance and flicker. I am also fascinated by the way in which the many things I pass by in life on a regular basis can appear so differently, depending on the time of day, season of the year, or mood I am in at the time. These thoughts were at the forefront as I composed Beneath a Canvas of Green. From the rush of sounds that open and close the piece, to its calm and delicate interior, the work utilizes a singular melodic idea viewed through a variety of different lenses.